The third year of Donald Trump’s presidency promises to be a time like no other in American history. Never before have both the legitimacy and the competency of the president been so vigorously challenged, and the questions will increase exponentially as House Democrats and the special counsel probe deeper. So it is no surprise that most of Roll Call’s People to Watch in 2019 revolve around the world of Trump. First up, are key players from Capitol Hill and the administration. 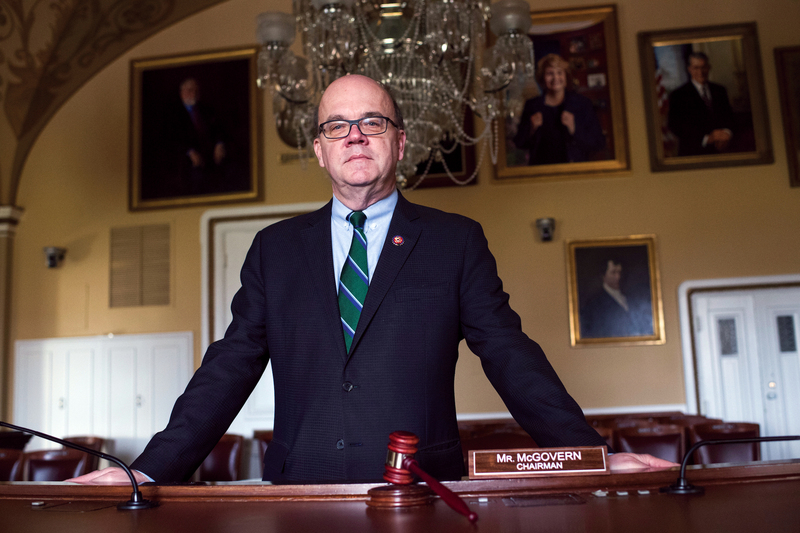 Massachusetts Democrat Jim McGovern, a liberal firebrand who’s spent years watching his amendments be rejected by Republican leaders, now has his fingerprints on virtually every major bill that reaches the House floor. McGovern, 59, is the new chairman of the Rules Committee, the last stop for big bills before they come to the floor and a powerful checkpoint. It’s here that amendments either get the green light to proceed or are deep-sixed. McGovern says he’s trying to change that dynamic in the 116th Congress. But his power has limits. For example in January, when Republicans wanted a vote on President Donald Trump’s controversial border wall proposal as part of debate on a disaster aid bill, he had to nix it. McGovern says he would have allowed it, but legislating on appropriations is against House rules. Still, McGovern is likely to push for broader debate on issues he cares about. His chairmanship is reassuring for Rep. Raúl M. Grijalva of Arizona, one of the most liberal members of the Democratic caucus. “You have somebody in charge of Rules that’s going to be fair and that’s going to prioritize that process around his sense of integrity and heart,” Grijalva says. McGovern’s years in the minority gave him perspective on stonewalling opposing views. Rep. Tom Cole of Oklahoma, who’s long served on the panel with McGovern and is now its ranking Republican, says he’s hopeful the new leaders will be fair to GOP members. McGovern acknowledges the influence of the House speaker on his panel — the speaker served as chairman of the committee from its establishment in 1789 through 1910, and the leadership of each party appoints the committee members. “There’s no doubt that the Rules Committee is the arm of the leadership,” McGovern says. But he doesn’t believe the committee should be an “automatic rubber stamp” for whatever comes out of the speaker’s office. You’d think someone who lost a high-profile Senate race in 2018 wouldn’t be much of a somebody to watch in 2019, but you’d be wrong. Very wrong. That’s because Republican Martha McSally of Arizona, who was appointed to her seat in December by Gov. Doug Ducey, has her work cut out for her before she faces voters again 21 months from now. In 2020, Democrats need to pick up four seats in the Senate to take back control, and Arizona, with its shifting demographics and voting, is a high-profile target. 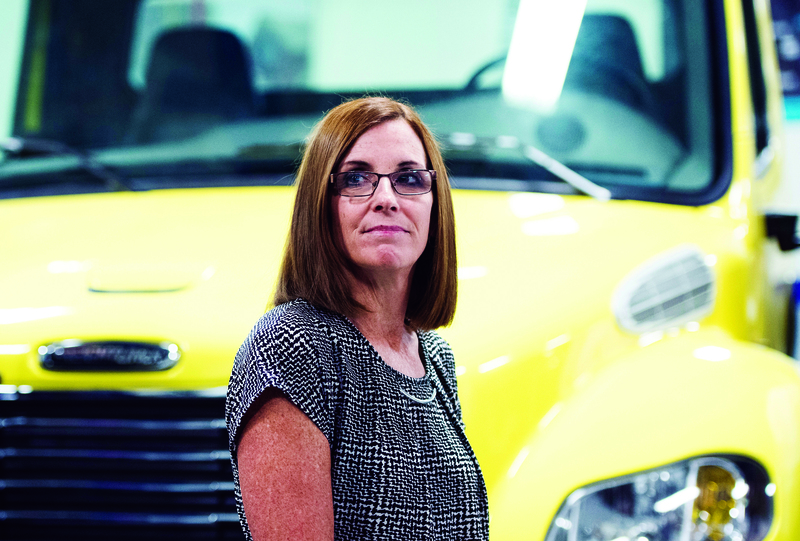 Already, McSally, 52, has been identified as one of the most vulnerable members in the Senate. In January, Major Forward — a super PAC affiliated with Minority Leader Charles E. Schumer —began running ads against her and a group of other endangered Republicans like Cory Gardner of Colorado, blaming them for the partial government shutdown. Inside Elections with Nathan L. Gonzales has rated her race a toss-up. And a growing number of Democrats, led by astronaut Mark Kelly, the husband of former Democratic Rep. Gabrielle Giffords, are mulling a run against her. But if her early voting record and legislation is a sign, McSally is likely to stake out a path that sometimes veers from the rest of her party. In January, McSally, who has been assigned to five committees, including Armed Services, Banking and Energy and Natural Resources, joined a group of 11 Republican senators in voting to stop the Trump administration from lifting sanctions on companies controlled by a Russian oligarch, Oleg Deripaska. She’s also introduced three bills, all of which are co-sponsored by fellow Arizonan Kyrsten Sinema, a Democrat, that involve transfers and swaps of federally owned land — a long-standing issue that both have worked on for several years. McSally has positioned herself as a centrist — she was a member of the moderate Tuesday Group in the House, and was rated by the Lugar Center as the 69th-most bipartisan member of the House in 2017. While she was initially skeptical of President Donald Trump’s call for building a continuous wall along the southern border, she has since hardened her stance, calling for a “border wall, fully funded.” She is a strict anti-abortionist — in January, she voted for a failed Senate bill, commonly known as the Hyde Amendment, that coincided with the anniversary of Roe v. Wade and would permanently end all federal funding for abortion. In 2017-18, as a member of the House, she voted with Trump 98.5 percent of the time, above the average Republican score of 93.6, though her party unity score was somewhat below the average for her party, according to CQ Vote Studies. The new Congress has brought some familiar faces to new places within the inner leadership circle of Senate Majority Leader Mitch McConnell. Key among them is Scott Raab, a long-time aide to the Kentucky Republican who has been promoted to policy director following the departure of Hazen Marshall. Raab fills a critical position as McConnell weighs what to do legislatively with his expanded GOP majority and how best to negotiate with a Democratic House. As became obvious with the protracted government shutdown and now a new round of border security negotiations, there’s a new dynamic to the job. Raab has big shoes to fill, but Marshall says he is well-suited to replace him. “Scott is deeply experienced in the health care arena, but has a keen political sense for other issues as well. And despite being ‘from’ Pennsylvania, Scott knows more about Kentucky than almost any native Kentuckian I’ve ever met!” Marshall said. That might be exceptionally important with his boss up for re-election in Kentucky in 2020. Marshall returned to Capitol Hill when McConnell became majority leader after the 2014 elections. He previously worked as Senate Budget Committee staff director and then as a lobbyist. Raab first came to work for McConnell well before that, back in 1999, becoming the legislative director in McConnell’s personal office before joining McConnell’s leadership staff in 2010. Antonia Ferrier, another recently departed senior McConnell aide, stressed that Raab is not a D.C. show horse, often shunning credit. “He knows the Senators, he knows the staff, he knows Kentucky and he knows Senator McConnell. He really is the trifecta of hard-work, know-how and smarts that have made him the indispensable team player,” Ferrier said. More recently as policy adviser, Raab had responsibility for the health care and telecom portfolios; with the new role he expands his reach to other issues. Raab’s health care portfolio included advising the Senate Republican Conference during the original debate over what became the 2010 health care overhaul law (PL 111-148, 111-152). That came in handy when McConnell and the majority Republicans pushed to roll back portions of the measure President Barack Obama signed into law. “I have relied on Scott’s sound counsel and policy expertise for two decades to deliver victories for Kentucky and our nation,” McConnell said in a statement announcing Raab’s promotion and Marshall’s departure. Raab’s successor in his previous policy adviser role is another former McConnell legislative director. Jen Kuskowski has returned to the McConnell world from the Senate Finance Committee, where she was until recently the majority’s health policy director. Paul Arcangeli, the majority staff director of the House Armed Services Committee, passed away nearly 20 years ago, he said in a recent interview. “I died in the middle of the night while I was sleeping,” he remembered. Arcangeli, then 33, had sudden cardiac arrest that night. Doctors revived his heart on his bedroom floor. Although he went into a coma, he made it through. He has survived four more such incidents since then. Prior to that first heart incident in 1999, Arcangeli had thought that if he were to meet his demise early, it would not occur in bed. That’s because his work at the time was extraordinarily dangerous: he was an expert in explosive ordnance disposal for the Army. Looking at Arcangeli today, one would never guess his heart problem. The Alabama native is an avid runner and has a vibrant personality. Suffice it to say, Arcangeli does not take a single day for granted. And he is approaching with zeal his new position as the top staffer on the panel that oversees the biggest chunk of the federal discretionary budget in the form of the annual defense authorization bill, or NDAA. 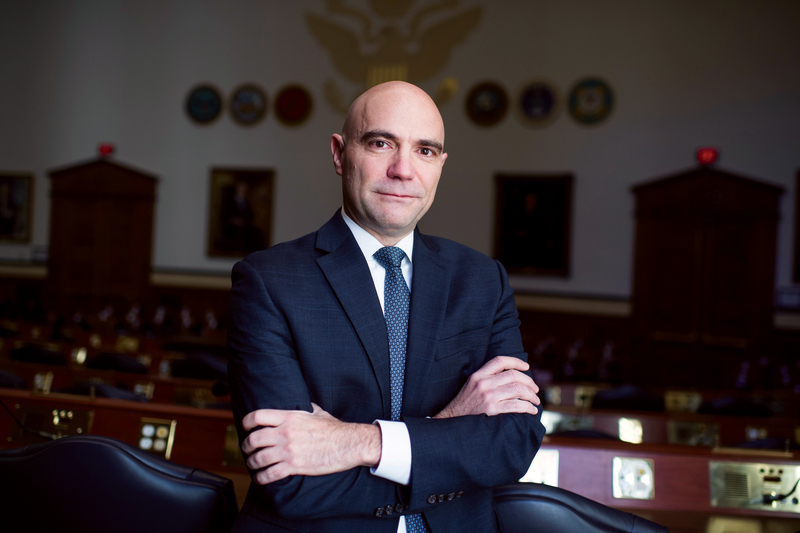 Arcangeli joined the House Armed Services staff in 2004, starting at the Subcommittee on Readiness. He ascended quickly to be the Democrats’ deputy staff director, and the committee’s then-chairman, Missouri Democrat Ike Skelton, tapped Arcangeli in 2010 to be majority staff director. Arcangeli only worked in the committee’s top staff job for that one year. The GOP once again took charge of the House starting in 2011, and Arcangeli worked as minority staff director from then until this year. When it comes to national security, Washington has begun 2019 with a bang. President Donald Trump deployed active-duty troops to the southern border to help stem what he contends is a flood of dangerous immigrants. Trump has talked about declaring a national emergency so he can circumvent Congress and possibly use Pentagon funds to build a security barrier across that border. Trump also peremptorily announced the withdrawal of all U.S. troops from Syria, and he is weighing doing the same for perhaps half the American forces in Afghanistan — or maybe all of them, if a peace deal being negotiated with the Taliban takes effect. Washington Democratic Rep. Adam Smith, the new House Armed Services chairman and Arcangeli’s boss, has pushed back forcefully against Trump on all these moves. Smith has been joined in this resistance on some issues by Texas Republican Mac Thornberry, the committee’s former chairman and now ranking member, though the two are bound to disagree on plenty going forward. Arcangeli says Smith’s top priorities fall into four categories. The first is improving military preparedness, meaning ensuring everything from trained personnel to capable equipment. The second is cost effectively modernizing the U.S. nuclear arsenal, a potentially $1 trillion undertaking. Third is making sure the military is inclusive of all the types of people who want to serve and can do so effectively. And the last is continuing to push for more efficiency in Pentagon purchasing. Last year, Congress cleared the NDAA with weeks to spare before the start of the new fiscal year on Oct. 1 — the quickest work it had made of the bill in more than four decades. It will not be nearly so easy this year, Arcangeli says. Unlike last year, lawmakers have yet to decide on new caps for spending on both defense and nondefense programs. It is not an agenda for the faint of heart. So Arcangeli is perfectly suited for it. When GOP efforts to repeal the 2010 health care law went up in smoke in September 2017, President Donald Trump pivoted to see what changes he could make to the health care system through the regulatory process. It turned out Trump could do a lot. 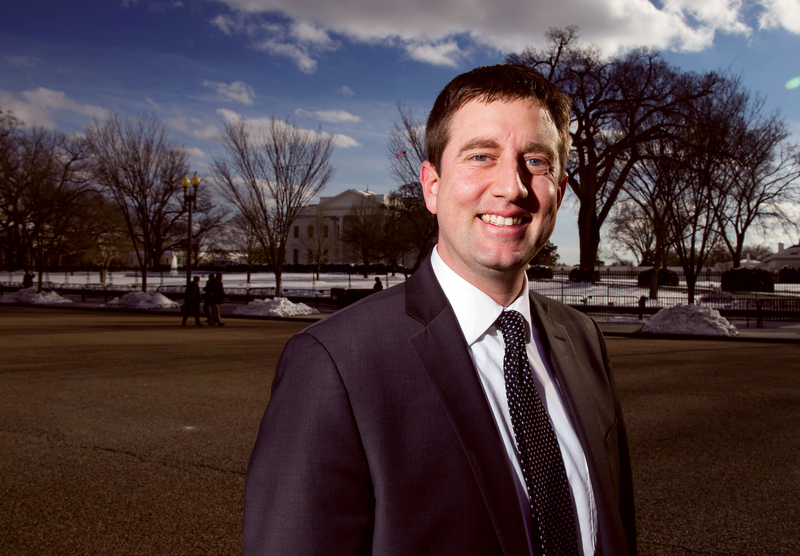 Brian Blase, 38, special assistant to the president for economic policy, has been at the center of efforts to shape what administration officials view as a more rational health care system with greater access to care and lower costs. He holds a Ph.D. in economics from George Mason University (his dissertation was on Medicaid), and he is the longest serving member of the National Economic Council, which he joined in January 2017. Blase sees potential for the new Congress and the president to find common ground on reducing drug prices and targeting waste and abuse. Another goal is to help states take advantage of more flexible guidance allowing them to seek waivers from the 2010 health care overhaul (PL 111-148, PL 111-152). The opioid epidemic will remain a priority of the administration, Blase says. He adds that it also will continue to push the Medicare payment system in what is called a “site-neutral” direction, reducing disparities in the payments that hospitals and other providers receive for the same services. Health care experts have argued that higher hospital rates have helped drive consolidation, leading to less competition and higher costs. His work up to now includes the drafting of Trump’s October 2017 executive order to promote health care choice and competition, as well as new rules to expand the use of employer-funded, tax-advantaged health care accounts, and increase access to short-term health care plans and cheaper association plans, which allow businesses to band together to offer insurance at lower rates. The executive order required the administration to produce a comprehensive plan for overhauling the health care system. Blase says the 120-page plan, issued in December, aims to tackle two key health care problems that contribute to unnecessary cost and inefficiencies: the amount of financing through third-party payers, which he says creates a disconnect between patients and providers, and “anti-competitive” policies, which the administration believes prevent innovation. Blase in part blames the reimbursement rates under Medicare, which he says create shortages of services when rates are set too low, and unnecessary cost and overutilization when rates are too high. Shahira Knight, who currently serves as the White House’s chief liaison to Capitol Hill, got her start as an aide to then-Rep. Bill Thomas, a California Republican who chaired the tax-writing House Ways and Means Committee. In a Washingtonian magazine poll, Hill aides voted Thomas the “meanest” lawmaker, and his temper was the stuff of congressional legend. “I liked him a lot, but he was tough as nails, and she was able to — professionally and without ruffling feathers — she was able to do the job for him,” says former Hill aide and lobbyist Jade West of Thomas and Knight’s rapport. Not only did Knight learn how to navigate a sometimes brutal working environment as staff director at Ways and Means, but she also became a top expert in tax policy and cultivated a reputation for being an honest broker. Case in point: Though Knight, 46, was at the center of discussions to end the partial government shutdown, West says the White House aide nevertheless responded to an email about an unrelated policy matter one day in January, and late in the evening. Knight’s current position wasn’t exactly what she expected to be doing this year. She joined the White House as deputy director of the National Economic Council, working behind the scenes on the 2017 tax overhaul (PL 115-97). She was all set to return to the private sector as a top lobbyist for the Bank Policy Institute, a newly formed financial services industry organization. But when her predecessor, Marc Short, announced his departure as White House liaison to the Hill, the Trump team persuaded her to take the job. At the banking lobby, Knight was to lead government affairs, communications and member engagement, according to a news release issued about the move she later canceled. Before joining the Trump administration, Knight was a lobbyist for Fidelity Investments, which paid her $741,445 in 2017 for vested shares, according to Knight’s 2018 financial disclosure form. K Street talent scouts say that unlike some high-profile administration staffers whose association with controversial policies may hurt their long-term job prospects in the private sector, Knight’s value is likely only to grow given her position, policy expertise and her relative anonymity outside the Beltway. Knight declined comment for this profile, according to a White House press aide, who cited the partial government shutdown as the reason. However, she did speak with the Atlantic during the shutdown. In some ways, Mark Calabria is a conventional pick to run the Federal Housing Finance Administration, the overseer of Fannie Mae and Freddie Mac. He’s chief economist for Vice President Mike Pence and has had stints at the Cato Institute, the Department of Housing and Urban Development, the National Association of Realtors and Harvard University’s Joint Center for Housing Studies. Who better, then, to supervise two government-sponsored entities that securitized and guaranteed about 46 percent of all U.S. mortgage originations in 2017? 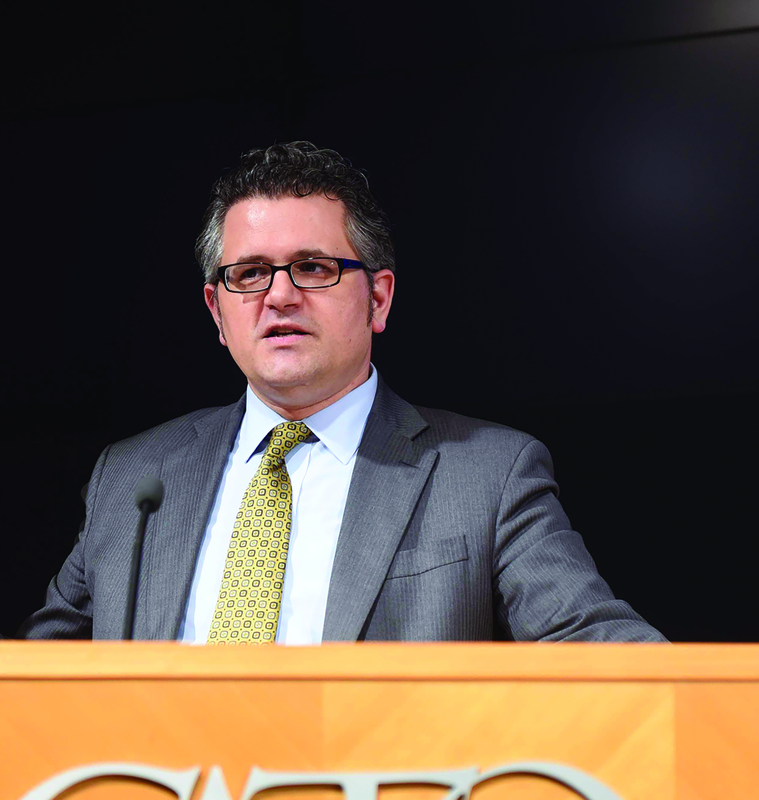 Calabria accused the government-sponsored enterprises (known as GSEs) of idolatry in a 2016 essay that called for returning the U.S. mortgage finance system to the originate-and-hold model, where lenders made loans and intended to keep them through maturity —a practice that prevailed before the savings and loan crisis erupted in the late 1980s. Securitization, in which Fannie and Freddie bought mortgages from lenders and repackaged them as federally guaranteed securities sold to institutional investors, grew from the mass grave of a thousand bankrupt thrifts as a way to move the risk of borrowers’ defaulting on 30-year mortgages off the original lender’s balance sheet. But Calabria, pointing to the 2007 housing crash, thinks it made things worse by spreading, hiding and ultimately amplifying risk. In his ideal world, Congress would end Fannie and Freddie’s conservatorship and revoke their government charters, turning them into completely private companies. Acting Director Joseph Otting recently told FHFA employees that the administration wouldn’t wait for Congress to wind down government control of the GSEs, saying Calabria and Treasury Secretary Steven Mnuchin both signed off on the idea of taking unilateral executive action to end the Fannie/Freddie conservatorship. Since his nomination, Calabria hasn’t publicly said whether he would merely urge Congress to rehab Fannie and Freddie with some light regulatory remodeling or go it alone on a tear-down-and-rebuild project. But many who know him think Calabria will be circumspect. The U.S. housing market ended 2018 on a downswing, with sales dropping and prices flatlining. National Association of Realtors chief economist Laurence Yun, who expects a stable 2019, says the market is fragile — one significant policy shock could shatter it. Calabria could look at making fewer homes eligible for GSE-backed mortgages, thereby forcing borrowers to look for alternatives. “He’ll put a fair amount of thought in how to shrink Fannie and Freddie’s footprint in the least disruptive manner,” says Jim Parrott, a senior adviser at the National Economic Council in the Obama White House. The trick, Parrott says, would be doing so in a way that leads to more private-label mortgage securities — not an increase in Federal Housing Administration loans or a decrease in home sales. Ed DeMarco, Housing Policy Council president and a former acting FHFA director, says Calabria might start by directing Fannie and Freddie to share more mortgage data, positioning the private sector to step up as the GSEs pull back. He could follow that by putting Fannie and Freddie on a diet — reversing recent increases to the conforming loan limits and the debt-to-income limits, which, respectively, made more expensive homes and lower-credit borrowers eligible for GSE-backed mortgages. As presidential aspirants vie for working class votes, Calabria may decide to take the populist route, Parrott says. Fannie and Freddie could stop buying mortgages used in cash-out refinancing, where homeowners free up money for things like renovations by replacing their existing mortgages, or pull out of the secondary home and investment property markets, he says. No matter what he plans for the housing market, Calabria can expect an intense interrogation during his Senate Banking Committee confirmation hearing from Democrats hoping to call the White House home after 2020.